I am currently residing in CT where I’ve spent most of my adult life. I was born in Ponce, Puerto Rico. After High School I attended College and pursued a career in Law Enforcement. In 1997 I decided to enlist in the US Army National Guard. Since I have had the privilege of working with an excellent group of soldiers and given the opportunity to travel abroad and meet people form all walks of life. Although I wasn’t the athletic guru I always believed in staying healthy and fit. I participated in many fitness programs and events (Tough Mudders, Go Ruck, Spartan Races, Marathons, Trail runs, Cycling, etc). 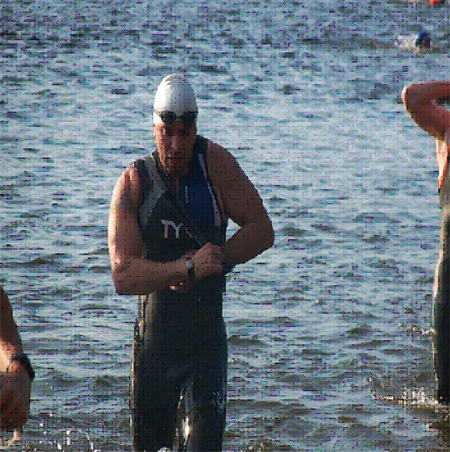 Now I found my comfort zone within the triathlon sport. I am currently an active member of the CT ARNG and serve as the NCOIC of the CT Medical Detachment. I also have completed PLDC, BNCOC, SLC, Total Army Instructor Course, Combat Medic School, Combat Medic Advance Skills Training, Emergency Medical Technician Course, Military Police Training Phase I&II. Army Achievement Medal (AAM)(4), Good Conduct Medal, GWOT Expeditionary Service Medal, GWOT Service Medal, Humanitarian Service Medal, Army Reserve Component Achievement Medal, with 3 Bronze Oak Leaf Clusters (ARCAM), National Defense Service Medal, with Bronze Service Star Device (NDSM), Armed Forces Reserve Medal, with Bronze Hourglass, “M” Device, and “2” Device (AFRAM), Army Service Ribbon, Overseas Service Ribbon (2), CT Veteran Service Ribbon, Driver and Mechanic Badge with Driver-Wheeled Vehicle(S) clasp (2nd Award). State Decorations/Badges: Connecticut State Emergency Service Ribbon (2), Louisiana State Emergency Service Ribbon (Hurricane Katrina). APFT Award. Four years ago I decided to challenge myself and ended up getting bit by the Tri bug. With the help and encouragement from my dear brother, I ended up joining a local Triathlon 10 weeks training program and did my first sprint triathlon. From this point on I learned to respect and understand the commitment that comes with the triathlon sport. Triathlons has help me both physically and mentally. I am grateful to have found other brothers and sisters veterans who share the same commitment and enjoy the sport. We are one Team and one Tri. 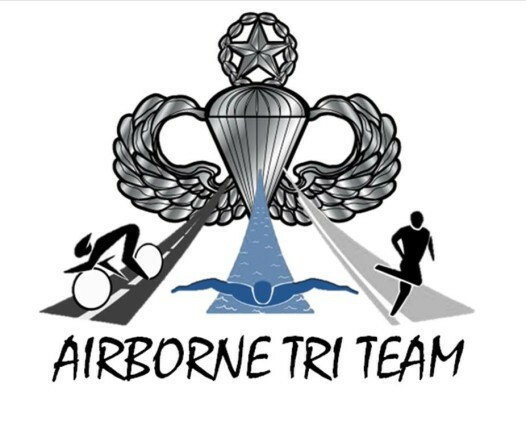 We are AIRBORNE TRI TEAM!